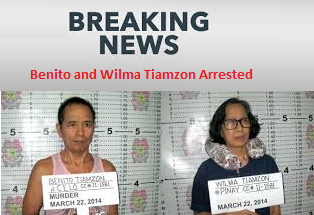 The issue of Benito and Wilma Tiamzon being arrested during a raid in Cebu is a big news nowadays due to the fact that they are prominent personalities of the CPP-NPA. In fact Benito Tiamzon is the CPP-NPA chief. Because of what happened, there are disagreements between the two parties, the suspects and the PNP. There are two sides of the story. And this is now an issue of who is telling the truth. Well, let us look at both sides of the coin. According to Police Supt. Roberto Fajardo, chief of the PNP Criminal Investigation and Detection Group-National Capital Region (CIDG-NCR), it was the CPP-NPA leadership that turned its back on the peace process. And the CPP-NPA claims that they are open to any peace process and negotiations. These two are contradicting statements and there is a need for clarification. Looking at the situation, we might be divided on what side we will believe. Some might say that the statement of the PNP might be true due to the fact that they are the ones who are responsible for the arrest of the couple. And others might also believe that the CPP-NPA is doing its best for the peace process but it just happens that the PNP is not open for it. That might or might not be the thinking of the people. No matter what our ideas on the issue, we still want to bring out the truth and nothing but the truth. There are so many issues that lied between the CPP-NPA and the government. What we wish is that justice will prevail. This is another situation wherein the government will hold a case of prominent people. We do hope and pray that the evidences will be shown whether to convict or vindicate the couple. The peace process issue is an issue that is so important for the country. We can see through the years that it has been the quest for the government in order to solve whatever conflict is going on in the country. We do hope that the dawn of real peace process will come true.